FAIRFIELD — The Board of Finance went in the other direction with the 2017-18 budget, bumping it up to $299,459,597 and a 1.81 percent tax increase, hedging their bets as they wait to see what happens with the state’s spending plan. The vote was 8 to 1, with David Becker casting the lone dissenting vote. The budget now goes to the Representative Town Meeting, which reviews the budget Monday, Tuesday, and Wednesday, at 7 p.m. at Penfield Pavilion. As it stands now, the budget, which includes the restoration of $2 million to the Board of Education, a street sweeper for Public Works, and the youth recreation coordinator, translates to a mill rate of 25.91. The current mill rate is 25.45. With the state’s budget not expected to be set until possibly September, the finance board wrestled with the unknown. In addition to cuts in revenue, Gov. Dannel P. Malloy’s budget called for billing the town $9 million for the state teacher pension fund. There was talk that the pension payments wouldn’t get past the state legislature, but now apparently phasing in those pension payments is being discussed. The budget adopted by the Board of Selectmen carried at 1.3 percent tax increase. 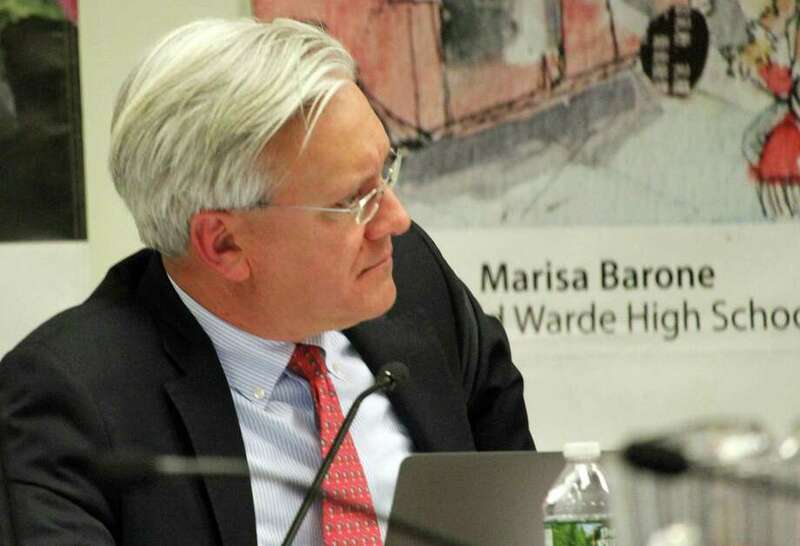 Finance board member James Walsh wanted to err on the side of caution, while still restoring funds for Public Works trucks and paving, and the library materials accounts. Walsh wanted to put those cuts back into the budget, with the understanding the money wouldn’t be touched until after the state budget was adopted, and the town knew the impact on its own budget. The board decided to go with Flynn’s proposal and added $1.2 million to the contingency account, which Baldwin felt sent the wrong message to state lawmakers.